Tight (IGTimes),Phase 2, Art Director, poster centerfold, Issue 15, 1994. Side A: full color offset on glossy paper; Side B: black & white offset on glossy paper, 19 x 25 in. (uncut). In addition to complete sets of IGTimes, Gallery 98 is also offering for sale four individual IGTimes pages. Although widely disparate in design, all copies of IGT were printed as double-sided sheets measuring 17 x 22 in. These pages were then folded like maps and in most cases their design reflects the folded partitions. In a few instances pages were conceived as single entities so they could be unfolded and hung as posters. It is these poster-style pages that we are selling here separately. This is the centerfold for issue #15. 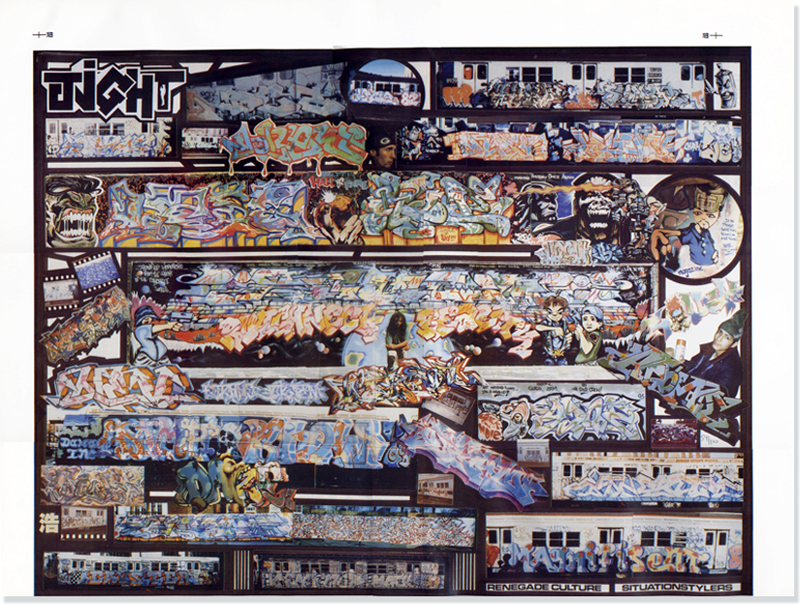 With the arrival of Phase 2 as art director in 1986, IGTimes grew in ambition and popularity. Issues expanded to include multiple pages, some printed in full-color. Phase 2 introduced a cleaner and more legible design without undercutting density and dynamism. 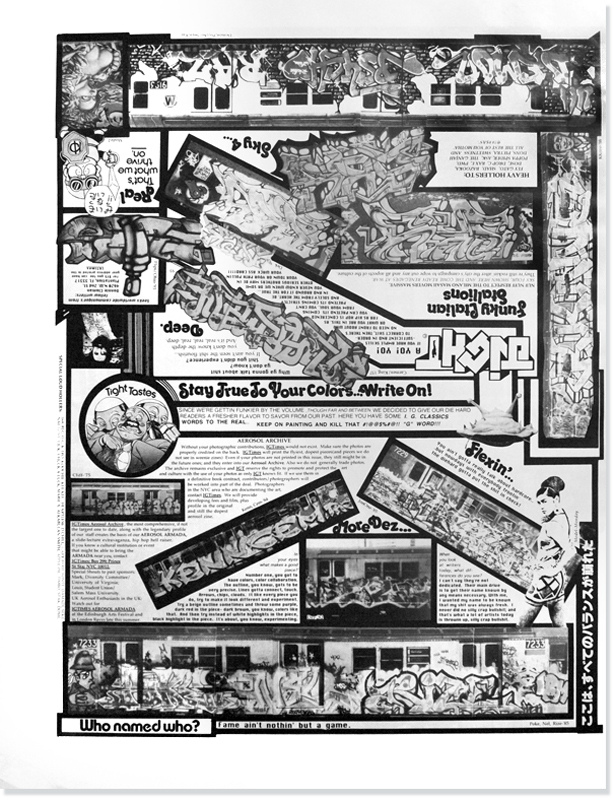 This photomontage entitled “Renegade Culture / Situation Stylers” combines extreme detail in a tight page design.